On the latest episode of John Gruber’s The Talk Show, guest Ben Thompson tries to identify the ways in which Amazon’s Alexa speech recognition is better than Apple’s Siri. One of his key points was that Alexa, by being theoretically less capable than Siri, manages to avoid the heightened expectations and subsequent disappointment that users feel when Siri fails to listen as well as it promises to. It may be less competent overall, but what it does do it does predictably and well. A comparison that came immediately to my mind was Apple’s mid-1990’s failure with the Newton handheld computer. The ambitious handwriting recognition was pure magic when it worked, but failed to work a significant amount of the time. Meanwhile, Palm took a more pragmatic approach with Graffiti, an overtly limited interpretation of the Roman alphabet, Arabic numerals, and a few other widely used symbols. By dramatically diminishing the magic of its handwriting recognition technology, Palm dramatically increased its reliability. Users seemed to appreciate this compromise, as Newton sputtered, and Palm Pilots went on to define the whole genre of hand-held digital assistants. As much as I like this comparison, I don’t think Siri is doomed in the same way Newton was. Handwriting recognition was a primary interface on Newton, while with iOS devices it’s usually considered an augmenting interface. You can, and many people do, get plenty of use out of an iPhone without ever relying upon Siri. Siri is also nowhere near as unreliable, in my opinion, as Newton handwriting was. I use Siri on a daily basis and, perhaps because I’ve rarely tried anything better, I still find it an overall boon to productivity. 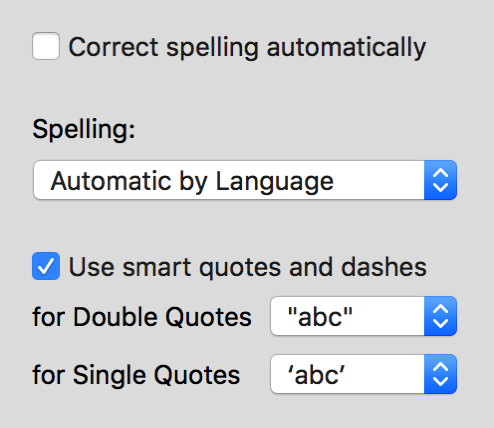 I think we are still in the early days of speech recognition, which feels funny to write because back in the mid-1990’s when Apple was failing to perfect handwriting recognition, they were doing the very same thing with speech recognition. But as John and Ben said on the show, none of the existing technologies, whether from Apple, Amazon, Microsoft, Google, Nuance, or others, is even close to perfect. There is so much interest now in the technology, that it’s possible to at least imagine extremely fast, reliable, predictable speech recognition becoming the norm. Whether the standard ends up being a shorthand-based approach such as Amazon is taking with Alexa, or a more ambitious artificial intelligence, may depend on which company can close the gap faster using one approach or the other. Hey Siri, remind me in 15 miles to get gas. Ahh, you relax back into your chair, crank up the Apple Music, rest assured that all will be taken care of. My, isn’t the future great? In 15 miles to get gas. There it is, on the list. Ungrammatical, uncompleted, unhelpful, uncool. There are other scenarios where this kind of position-relative reminder would be helpful, and it sort of plays into the same kinds of reminders currently offered by e.g. “Arriving Home”, etc. Hey Siri, remind me in 3 miles to turn around and head home. I love Siri, and I’m pretty happy with most of what it does. But the possibilities for improvement are literally limitless. (Radar #25728339). With the release of OS X 10.11.4, developers of standalone preference panes face a new challenge with respect to users installing their software. 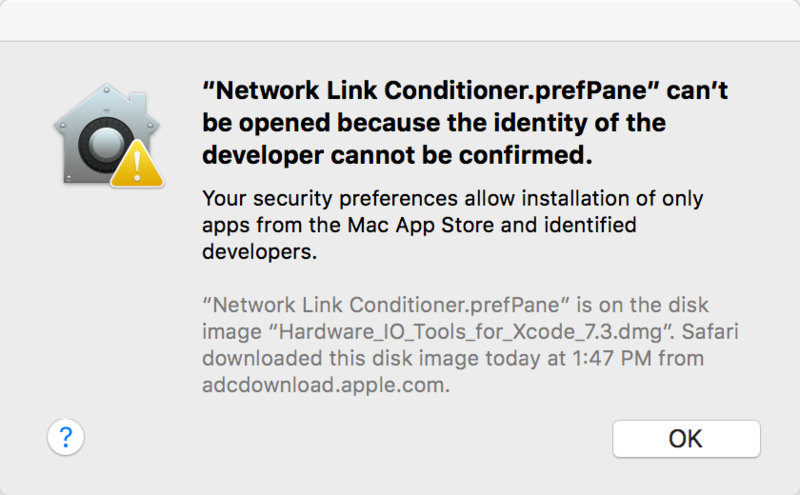 Apparently, the validation process that Apple applies to downloaded software, Gatekeeper, fails to validate OS X preference panes, even if they are signed with a legitimate Developer ID code signature. The upshot of this is when users download a bona fide 3rd party preference pane such as Noodlesoft’s excellent Hazel, instead of having the software install as expected, a scary warning is displayed indicating the purported untrustworthiness of the software. According to Paul Kim of Noodlesoft, the problem affects every preference pane he’s tested, including a freshly built, completely plain preference pane built with Apple’s latest tools. I put this to the test in Xcode 7.3, running on 10.11.4, by creating a new Preference Pane project from Apple’s template, setting it to sign with my Developer ID, and creating a release build of the project. The “version=2” indicates we are using an appropriate version for the signed resources. It would be hard, perhaps impossible, to do otherwise on a modern system with a modern Xcode toolchain. I wondered if there was some magic flag that preference panes must now exhibit, or some new requirement that internals be signed in a different way than before. Surely, if anybody could get this right, it would be Apple! Their “Network Link Conditioner” is the only downloadable preference pane I could think of, and what do you know, it was updated as part of the Hardware I/O Tools for Xcode 7.3 download package, released on March 20. I downloaded a fresh copy to be sure I had the best that Apple could offer, located the preference pane, and double-clicked it. You know it’s bad when even Apple’s own downloads are portrayed as untrustworthy. Update: According to Paul Kim, it’s not just preference panes that are affected, but any standalone non-app code bundle. So, for example, color palettes, screensaver modules, and, if anybody ever used them anymore, Dashboard widgets, are all affected. Pretty, pretty, pretty, pretty bad. Last week, Apple announced the iPhone SE, a long-awaited update to the 4-inch class of iPhone. After the release of larger iPhone 6 and iPhone 6 Plus models, many fans of the smaller form factor worried that Apple might be abandoning it for good. Their fears have now been assuaged. Even though I was worried and skeptical about the transition to iPhone 6, I have to admit I have mostly gotten used to it. I don’t know that I will return to the 4-inch sized phones, but the iPhone SE sure makes a compelling argument to do so. What’s great about the iPhone SE isn’t just its smaller size. It’s great because it also lacks many of the design shortcomings, petty as they may be, that its grander siblings possess. The so-called “camera bump” that breaks the perfectly smooth surface of the iPhone 6? Not there on the SE. The reviled movement of the lock button to the side of the phone, where it’s easier to press accidentally? Not an issue. Even the fact that the SE allegedly has a slower touch ID processor will not be viewed as a flaw by people who are tired of accidentally unlocking their phones when they wake them to view their lock screens. The iPhone SE is great because it doesn’t cast doubt on Apple’s design sense. I am sure that all the design changes in iPhone 6 were done with good reason. The camera bump affords a higher-quality camera. Moving the lock switch may have been necessary to accommodate a slimmer profile. And the phone unlocking accidentally while you hold it is the tradeoff for the freaking amazing, gloriously fast intentional unlocking. But the iPhone SE will be viewed by many as, and in fact it may be, a better phone. It’s great not because it’s as fast as, or can take as great pictures as, or can be unlocked as easily as the iPhone 6. It’s great because it leaves no room for doubt as to what it’s designed to do, and how it does it. New Apple products never fail to offer enticing new functionality, but these amazing new features increasingly come with a “but.” Apple’s user base has grown accustomed over years to expect the great design. Design choices that have to be explained to be understood cannot be considered great. They are good, possibly even “best under the circumstances.” But a great design leaves no rough edge to be scrutinized, no accident-prone switch to be suffered, no “so good it hurts” performance optimization. Great design leaves no room for doubt that every detail was considered, and that every compromise was somehow, delightfully avoided. Rene argues that the app economy is moving towards cheap, mass produced, bargain-priced software that is simply not suitable for sustaining small-time indie software businesses. He adopts a beautiful metaphor, borrowed from his own childhood: the classic wooden toy. Ugh. He’s right. Everything is cheap plastic, nowadays. Or is it? If I pull up a mental inventory of my own kids’ playroom, there are indeed a ton of cheap, plastic toys. But there are also a good number of, wait for it, quality wooden toys. I remember when my kids were younger, marveling at the powerhouse of wooden infant toys, Melissa & Doug. If you have a baby and are part of a socioeconomic culture that can sustain it, you have seen these toys. They are everywhere. And they are far from cheap. So? Make wooden toys. Metaphorically speaking, I mean. (Unless, like Gus Mueller, woodworking has been your backup plan all along.) Make software that is inspired by wooden toys. Although the market is dominated by cheap plastic, there is real money for thoughtful, careful developers in the market that favors charming, slightly overpriced throwbacks to another era. Make wooden toys. A custom link format for inviting customers to initiate a direct message. A method for soliciting feedback from customers about quality of service. I guess being open to “direct messages from anyone” is a viable approach for some businesses, and maybe it is even the right choice for any business wanting to remain completely accessible to customers. But my experience turning the feature on for my private account was that it led to unwanted solicitations. Although I generally want to remain accessible to people, it was an invitation for nuisance inquiries. I hoped upon seeing the news of this feature, that it might have been a feature that allowed a temporary, targeted permission to DM. This would be useful for businesses but also for individuals who are hesitant to either follow a person or open up DMs completely, but nonetheless wish to communicate privately for a short time. My vision for the feature is close to what Twitter has announced: you would still tweet a “magic URL” to somebody empowering them to open up a DM conversation, but the very act of sending that URL to a person’s (@-messaged) account would open a hole in your DM permissions allowing them to reach you even if you neither followed them nor had completely open DMs turned on. I imagine a scenario where the presence of such a link implied consent to DM for 48 hours or so, and where every response by DM to that user would extend the consent for another interval of time. This would facilitate more direct, nuanced conversation between Twitter users, without forcing them to choose whether to be completely vulnerable to the world, to establish unwanted, short-term follower connections, or else more likely, avoid the interaction altogether. I have been an ardent Apple fan since 1993, when I got my first Mac: a PowerBook Duo 210. From then, to the day I joined Apple in 1996, to the day I left in 2002, to present day, one thing has always been true about Apple: they are not a typical tech company. Pushing against the status quo has in many respects been a defining characteristic of the company, through down times and up times. Apple does what it thinks is right for itself, for its customers, and to some significant extent, for the world at large. Up to this point, we have done everything that is both within our power and within the law to help them. But now the U.S. government has asked us for something we simply do not have, and something we consider too dangerous to create. They have asked us to build a backdoor to the iPhone. The news has split public sentiment in predictable ways. There will always be a contingent that believes law enforcement should be aided in any feasible manner, regardless of long-term implications for individual privacy or civil liberties. And there will also be people so cynical about government and the police, that even Apple’s cooperation thus far, handing over information that it does possess, is viewed as a betrayal of customer rights. And of course, there is a massive group of folks in the middle, who aren’t sure where the line should be drawn. Apple has a clear sense of where the line should be drawn, and they have stated it: they will not weaken the security of their products for the benefit of the FBI or (presumably) any other agency. Although the current request from the FBI only applies to an older iPhone model, whose security is easier to circumvent than later ones, the point Apple emphasizes is that complying with the order would be a terrible precedent for putting the needs of government ahead of the personal security of end-uers. To my mind, this is a fine place for Apple to draw a line. Other tech companies with huge investments in the consumer market should be lining up behind Apple in defiance of the FBI. To do otherwise, whether by explicitly defending the FBI’s demands, or by implicitly approving in silence, would be a betrayal of their own customers. It would be wrong both from an ethical perspective with respect to their duty to protect customer data, and from a PR perspective with respect to the public’s perception of their managing that duty. If a couple other large companies, say Facebook and Google, come to Apple’s side, it will send a powerful message to the FBI and the rest of government. If a dozen large companies do, it will create a firewall that will be difficult for government to dismantle without very publicly reiterating and reaffirming its disdain for personal privacy. I think it’s best for all parties if the “firewall” scenario comes to pass. The stage is set for a civil rights showdown, and while we need to speak out as individuals, we can also benefit enormously from the powerful voices of these tech giants. But if other companies don’t step up, I’m not sure all is lost. Apple, as the largest American tech company, which also has the largest cash reserves, is well-suited on many fronts to fight this battle. Alone, if necessary. People have criticized Apple for amassing a giant pile of money while never giving completely convincing explanations for what it plans to do with it. When your modus operandi is not only to push the leading edge of personal technology, but also to defend your customers’ personal data, and to possibly help establish the legal precedent that will defend the customers of all tech companies for decades to come, you never know when having $200B to “spare” might come in handy. As a stockholder I don’t relish the idea of Apple burning through all that money just to defend their right to protect customer data. Although it’s arguable that it would be money well spent, it’s not an obvious, ideal use of shareholder equity in a public company. Luckily, I don’t think the cash will be spent. The $200B serves mainly to fortify Apple’s resolve in defying the FBI. Apple’s courage in the face of threats to its pro-consumer security policies is bolstered by the strength of those massive cash reserves. Some may see this confrontation between Apple and the FBI as an industry vs. government dispute, but it’s far more than that. As personal technology and the internet permeate almost every aspect of wider society, the “tech industry” is indistinguishable from society as a whole. The right to defend our personal information, and the rights of companies to act on our behalf in that pursuit, are completely and inexorably tied to our rights as members of society. Eventually, we must win the right to protect our data from government. Apple, Google, Facebook, and other tech giants can step up to help us secure these rights today, or we’ll have a longer, harder fight ahead of us in years to come. When you run an app on your Mac that connects to a secure web service, how confident are you that the password will be treated with care, and protected from prying eyes? As a rule, Mac developers are pretty responsible about storing passwords and other private data in the OS X system keychain but, of course, there are exceptions. On my Mac, this yields an overwhelming number of matches that includes a lot of false positives such as, for example, the preferences pertaining to 1Password, preferences pertaining to apps’ password dialog windows, and other innocuous uses of the term. defaults find password | grep -i -E "password\"? ="
This grep invocation searches for case insensitive matches for “password”, optionally followed by a quotation mark, then a space and an equal sign. In other words, examples where a key that ends in “password” is being assigned a value. defaults find password | grep -i -E "password\"? =|keys in domain"
Here I find a neat summary of potentially problematic password storages. Some of them remain false positives, but the list is now small enough to easily interpret. Any example where the app is something I plan to use again, I’ll be in touch with the developer to encourage them to improve the password storage security. Any example where the app is nothing I’ll ever run again? And the insecurely stored password is obliterated from my preferences. Obviously this trick won’t match all the careless password storage that apps on your Mac may be committing, but I suspect it will root out a good number of them. Experiment with the grep commands to filter out based on different, less restrictive matches. You might also have some luck searching for examples of apps that store other sensitive information such as credit card numbers, secret questions and answers, etc. I am home from Apple’s New York “Apple TV Tech Talks.” These events are always a joy to attend, because they combine some of the high quality preparation and delivery that we’ve come to expect from WWDC, with the refreshing brevity and focus of a one day event. Oh, and they’re totally free, apart from the transportation and lodging you might need to pay for. I went to the event with some uncertainty, because I am skeptical about my prospects developing for the Apple TV. The platform inherits many of the pricing and marketing challenges of iOS, with the added constraints of working with a shared-user ownership model, limited user input, and a bias towards entertainment software suitable to somebody reclining on a couch. Passive entertainment. This is the obvious, classic use case for television. To succeed with this model, you will probably need to have access to your own library of streaming media. Past and present episodes from a network television company are a canonical example for this kind of app. Indie app developers are unlikely to succeed in this realm, except as consulting engineers for media companies. Games. When the earliest video game consoles came out over 40 years ago, they introduced interactivity to the previously passive experience of using a television. It seems appropriate then that on the Apple TV, interactive entertainment in the form of games will remain a top-tier use case for the device. This is great news for indie developers who happen to be interested in game development, but for those of us who have tended to focus on productivity or creative software, there is little to lure us here, either. Interactive entertainment. In addition to the passive video programming that we associate most closely with television, there is an opportunity to engage users with the level of interactivity found in games, but with an aim to educate or entertain in a non-goal-oriented sense. For example, an app that makes it easy to kick back on the couch and subject oneself to a never-ending supply of dictionary definitions, or Wikipedia articles, would fit in here. Indie developers may have opportunities here because or the large amount of open sourced or government owned data that could be leveraged to build apps that present this data in novel and engaging ways. Interactive construction. The default input device for the Apple TV, the Siri remote, is pretty limiting for tasks like text input and other productivity-oriented tasks that we take for granted on a computer or iOS device. But what it lacks in precision it makes up for in crude expressiveness. Imagine apps that leverage the expressiveness of the remote’s touchscreen, or its ability to reckon its ever-shifting position in 3D space. Imagine a family gathered around the dining table, with a large blank piece of butcher paper and a variety of creative tools on hand. What does the family do to the paper? Anything you can imagine that empowers a family to be collaboratively creative on the screen, as they would otherwise be on that paper, is a potential hit for the Apple TV. What am I missing? I know there must be huge categories of Apple TV app ideas that are going to be obvious in retrospect. Two years from now, we’ll look back at a hopefully robust catalog of Apple TV software and find many examples of classic “if only I had thought of that!” ideas. I’m still fairly skeptical that I’ll be one of the developers who stumbles on groundbreaking ideas for the platform, but I credit the Apple Tech Talk with at least getting my thinking moving in the right direction.